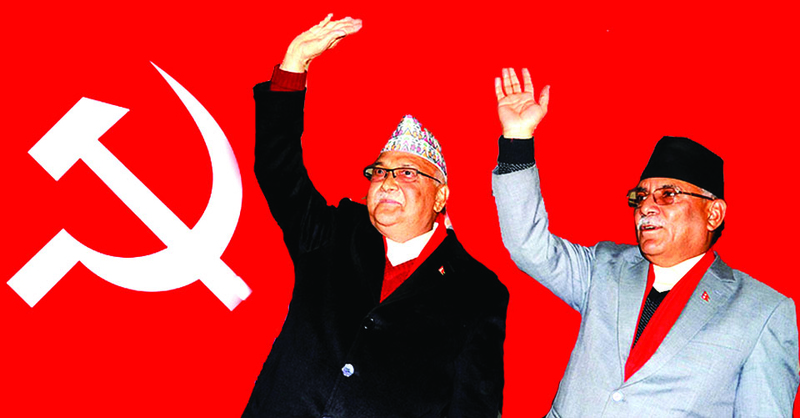 The unification between Nepal’s two largest communist parties—CPN-UML and CPN-Maoist Center—into a single entity of Nepal Communist Party (NCP) is a historical step for Nepal to have a sustainable and stable government and to focus on national agenda of economic development and social progress. Second, stable and effective leadership is the basic prerequisite for economic development. Regardless of history or reality, a stable political situation and strong leadership of political parties are the fundamental guarantees for the country’s economic development. Regardless of the underdeveloped countries in the war, even within the developed countries, whether political parties have strong leadership determines rise or fall of a country’s economic development. Many countries in the world have suffered due to lack of political stability. Japan is one example. The period when Japan experienced a frequent change of Prime Minister is popularly known as ‘The Lost Decade.’ Stage of prosperity was set by Junichiro Koizumi, the powerful leader, who ruled the country from 2001-2006—the full five year term. In Europe, Germany has thrived and remains unaffected by financial crisis, debt crisis and Brexit crisis primarily because of strong and efficient leadership of Angela Merkel who has ruled the country for almost 13 years now. Nepal has waited way too long for strong, efficient and stable government. Today, it has achieved that goal. Nepal could reach that destination only through the merger of the two parties, transforming previous political struggle into economic development, and relying on strong communist leadership in order to concentrate its efforts on economic development and social progress. Only by doing so could Nepal embark on path of socialism and national development. Third, coming together of two communist parties into one has laid a solid foundation to improve bilateral relations between China and Nepal. International coalition between the political parties in various countries of the world is an important aspect of ruling political parties. Therefore, the NCP will inevitably have closer inter-party exchanges and cooperation with Chinese Communist Party (CCP). Closer inter-party exchanges and cooperation will contribute to enhancing China-Nepal relations. The long-running experience of CCP will provide good experiences for consolidation of political power for NCP. To get rid of the vicious cycle of misrule of the past, Nepal could fully absorb more than 70 years’ successful experience of CPC and explore a development line that meets aspirations of Nepali people based on Nepal’s own needs. The successful paradigm of socialism with Chinese characteristics will contribute to improvement of NCP’s ability to govern—which is the core competitiveness of the ruling party. 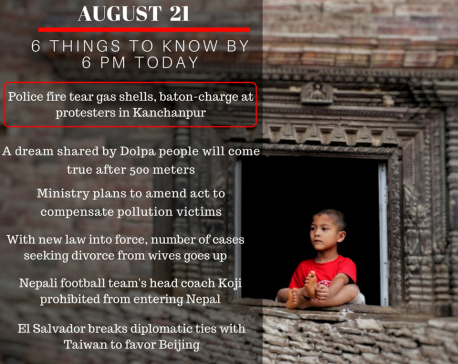 And it is also a practical issue that Nepal’s unified communists will face. As the largest party in the parliament, the NCP is not only the most powerful ruling party at the moment is also likely to remain so for years to come as well. But if it fails to improve its ability to govern, it might not only lose people’s support but also the political legitimacy. 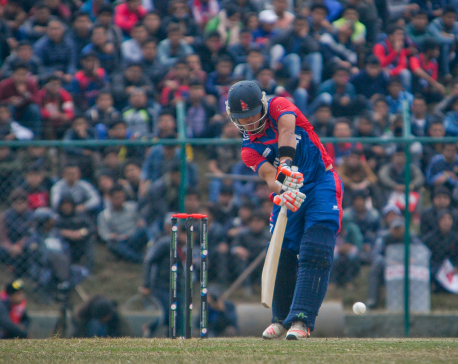 That will be the bad day for Nepal’s NCP. What CPC did could be instructive for Nepal’s communists. CPC’s socialist line with Chinese characteristics not only successfully lifted 1.3 billion people from the abyss of poverty, but also displayed the blueprint of the great rejuvenation of Chinese nation. This proves that CPC has made tremendous achievements in the area of governing capacity building which, hopefully, will be the focus of the next phase of Nepal’s NCP. Cooperation between two powerful and influential leaders (Prime Minister Oli and Pushpa Kamal Dahal, the co-chairmen of NCP) will make it even easier. Most of all, China’s Belt and Road Initiative (BRI) welcomes the active participation of Nepal and other countries. Nepal’s economic rise also depends on infusion of foreign capital from countries such as China and India. Under close cooperation between two leaders (Oli and Dahal), friendship between Nepal and China is bound to translate into friendship of the two countries and the two governments. We will gain greater heights in the days to come.